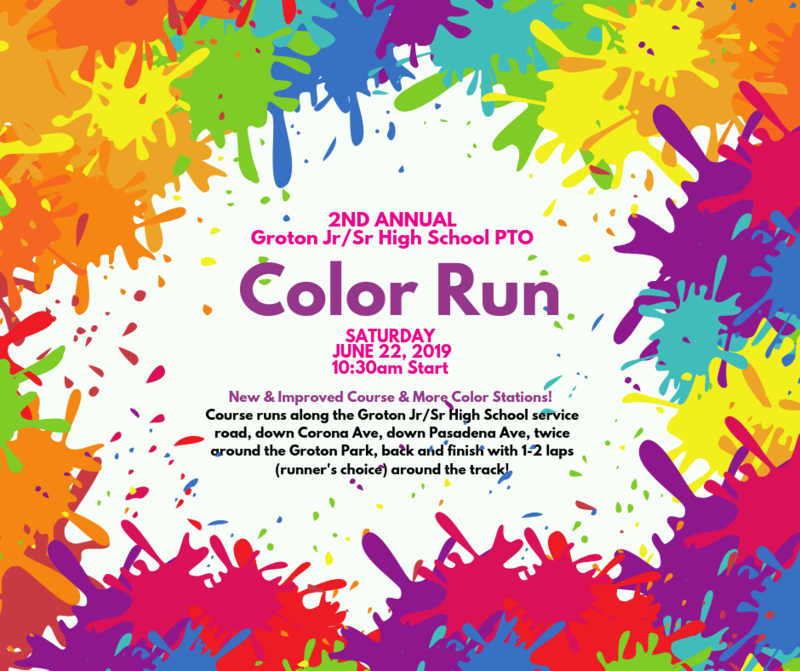 We are excited to announce the 2nd Annual Groton Jr/Sr High School PTO Color Run. This year, we have a new and improved course with more color stations. Register online or complete our paper registration form. Early bird discount rates are only valid until June 3rd. Group Rate: $18 each when you register 5 or more runners total (includes t-shirt and color packet for each runner). Groups must register with a paper form. All runners must check-in the day of the color run and sign a waiver. Check-in begins at 9:30am and goes up until race time at 10:30am. 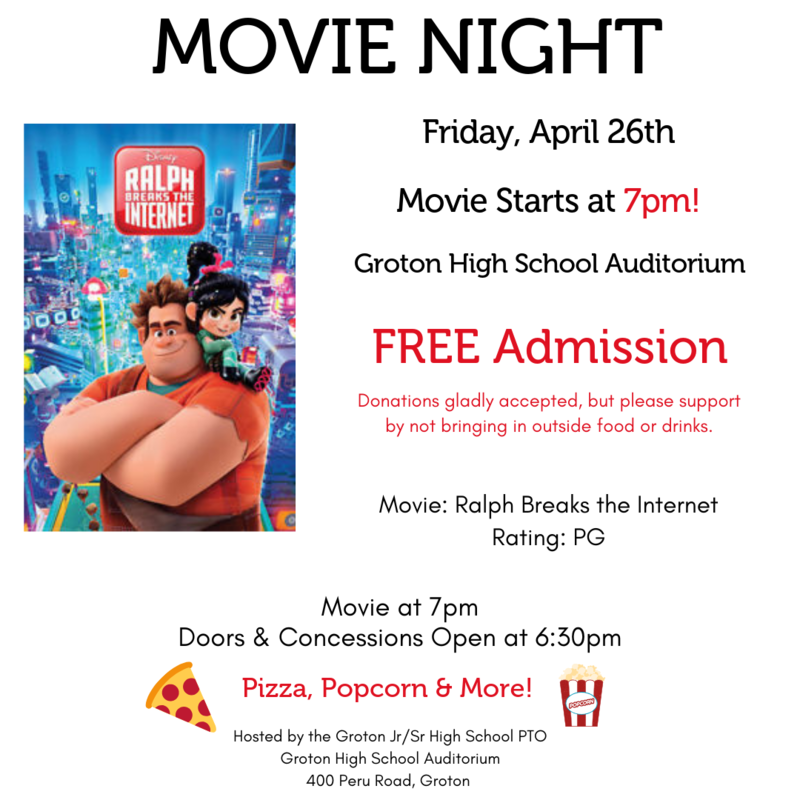 Join the Groton Jr/Sr High School PTO for Movie Night! We are showing Wreck It Ralph 2: Ralph Breaks the Internet on Friday, April 26th in the high school auditorium. Doors and concessions open at 6:30pm and the movie begins at 7pm. FREE admission, but we do ask that you support our goal to raise money for a sound system for the Groton Jr/Sr High School cafeteria by not bringing in outside food or drinks. We will have a great assortment of affordably priced snacks and pizza. 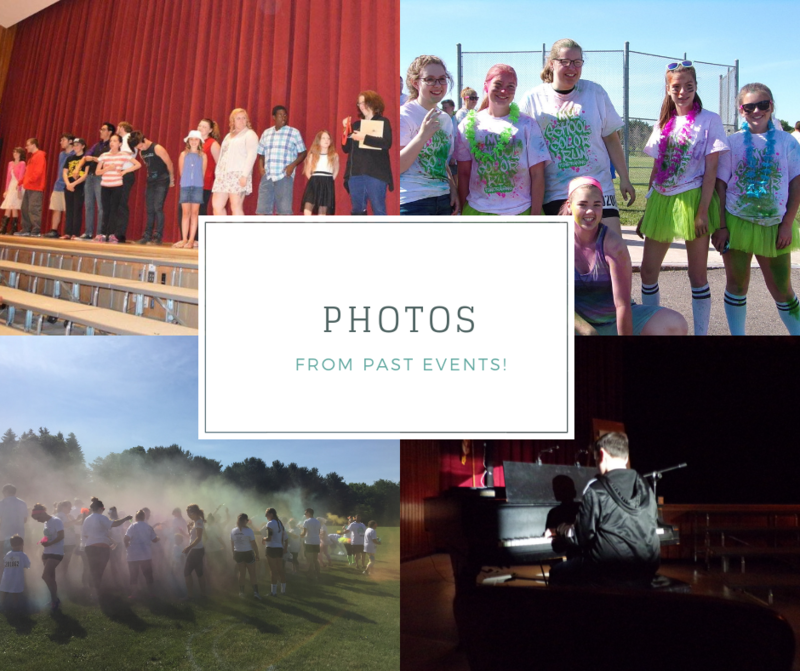 Photographs from past Groton Jr/Sr High School PTO Events. Do you have a photo to share? Please share it to our Facebook page.